Andrew Orr and Bryan Chaffin join host Kelly Guimont to talk about JC Penney's removing Apple Pay and Elon Musk's vision for Tesla taxicabs. Andrew Orr and Bryan Chaffin join host Kelly Guimont to discuss "ownership" of eBooks, Instagram's security, and viewing your tracked data. Andrew Orr and Charlotte Henry join host Kelly Guimont for a discussion of Apple's current modem situation and why buying Roku makes sense. Bryan Chaffin and Dave Hamilton join host Kelly Guimont to discuss San Francisco's current debate over facial recognition software. Bryan Chaffin joins host Kelly Guimont today to talk about the rise of cashless stores, and Mozilla's petition to "improve" iOS ad tracking. John Martellaro and Charlotte Henry join host Kelly Guimont to discuss levels of computer intelligence, and the UK's first cashless stadium. 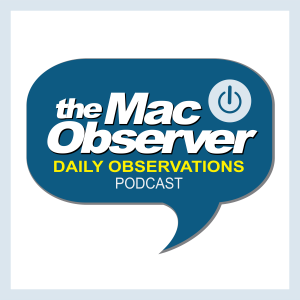 John Martellaro and Bryan Chaffin join host Kelly Guimont for a chat about staff changes on Apple's hardware team and the AirPower's demise. Charlotte Henry and John Martellaro join host Kelly Guimont to discuss the latest iPhone ad and Apple's entry into the bundle business.